I used to collect comic books. Most of my comics were from the 70s into early 90s. However, I do have a few much older comics. 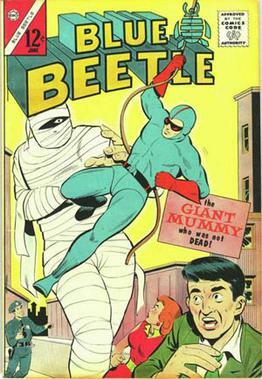 One of them is a “Blue Beetle” comic. Annoyingly, a kid who owned it long ago wrote his name on the cover. On the other hand, doing so brought it down to a price I could afford. I want this simple fact understood. That’s pretty much it. Not a lot of information. 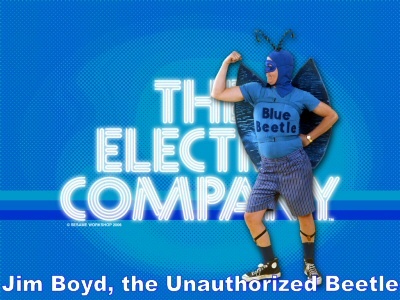 But let’s be honest, if there was anyone who could embrace the Blue Beetle song, it would this girl. She was young where wisdom was seen as the possession of the old. She was female in a patriarchal society. She was a servant… slave… captive of war. She had no money or possessions that were her own. She was a foreigner in a hostile land. Yet she was able to save a life, help lead a person (and probably entire family) to God, and in some very real way reduce tension between two warring nations. The fact was that she actually had a lot. She had relationships with people in power… and in need. She was in the right circumstances to help. She knew something that others needed to know. Often when people think they can’t do anything they think God is too small or too unwilling to help. On the other hand sometimes the individuals don’t recognize what they have… they sell themselves too short. “Oh, I wouldn’t if I couldn’t, but I can, so I will. With God I’ll do it still. And I want others to sing it too. …or as We Think It Should Be.